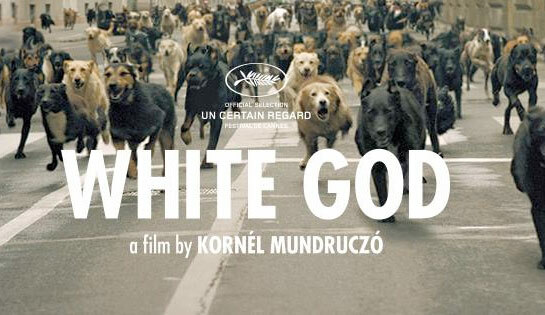 Winner of the Prize Un Certain Regard Award at this year’s Cannes Festival, Kornel Mundruczo’s newest film is a story of the indignities visited upon animals by their supposed “human superiors,” but it’s also an brutal, beautiful metaphor for the political and cultural tensions sweeping contemporary Europe. When young Lili is forced to give up her beloved dog Hagen, because it’s mixed-breed heritage is deemed ‘unfit’ by The State, she and the dog begin a dangerous journey back towards each other. At the same time, all the unwanted, unloved and so-called ‘unfit’ dogs rise up under a new leader, Hagen, the one-time housepet who has learned all too well from his ‘Masters’ in his journey through the streets and animal control centers how to bite the hands that beats him.